The next few years of your scholarly life will shape many of the habits you will carry with you after school in your professional adult life. To set yourself up for success during this time, I will share some thoughts on minimalism that can help you make it through college. Unfortunately, minimalism can’t help you with the difficulties of studying, but it can make it easier for you to live within a student’s budget. Knowing ahead of time that you will be in and out of rooms and dorms, you should always think of what you are bringing into your home. Accumulating souvenirs, toys, and junk from all your adventures will soon pile up and take over your dorm room. Being in college should be an opportunity to collect experiences and memories, not traffic cones and beer box towers. When it comes time to move out from one dorm to another, you will be glad you don’t have so much to haul around. College is the ultimate community experience, so take advantage of its offerings. Student clubs, fraternities, sororities, classes, and friend groups are all great places to ask for a specific book or to look for furniture and other items you need. Sourcing your needs from the community around you, instead of buying, can help you meet new neighbors and save money on college expenses. It’s already bad enough that social media can send you down a rabbit hole of funny videos and memes; so, when you sit at your desk to study, the less clutter around you the better. Keeping your desk clear and clean allows for an inviting workspace, versus a messy desk that causes anxiety and displeasure. Take some time to clear off your area before a study session and you will see how your concentration can increase from the benefit of reduced distractions. In a few short years when you move on to your own residence and have a different pace of life, you will be glad you took on minimalism as a way to budget and maximize your life experiences. As always, we want to remind you that with minimalism you do away with something in order to gain elsewhere. Here, we rid you of your college room clutter in order to make more space for you to learn. 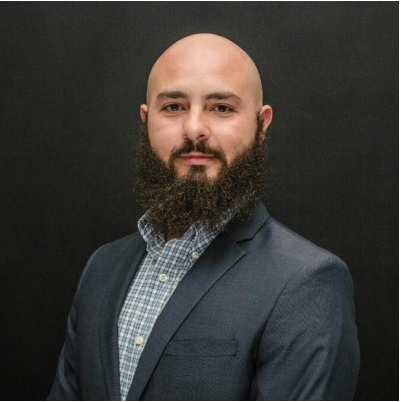 Self driven and always up for a challenge, Juan David is a USMC veteran with the drive to be productive and engaged in the projects he works on. Juan has been involved with several nonprofits assisting them with event planning, logistics, and social media marketing. He is currently the CMO at LendIt a sharing economy platform, and also the lead event planner for the San Diego Mac N' Cheese festival and the San Diego Veterans Chamber of Commerce.